Sometime in late 2012, I bought a copy of Lotta Jansdotter’s Handmade Living. It’s the kind of book I pull out to peruse when I’m feeling dull or uncreative. In her book, she includes a set of stencils for creating your own projects based on her designs–mostly meant to be used on one kind of fabric or another. 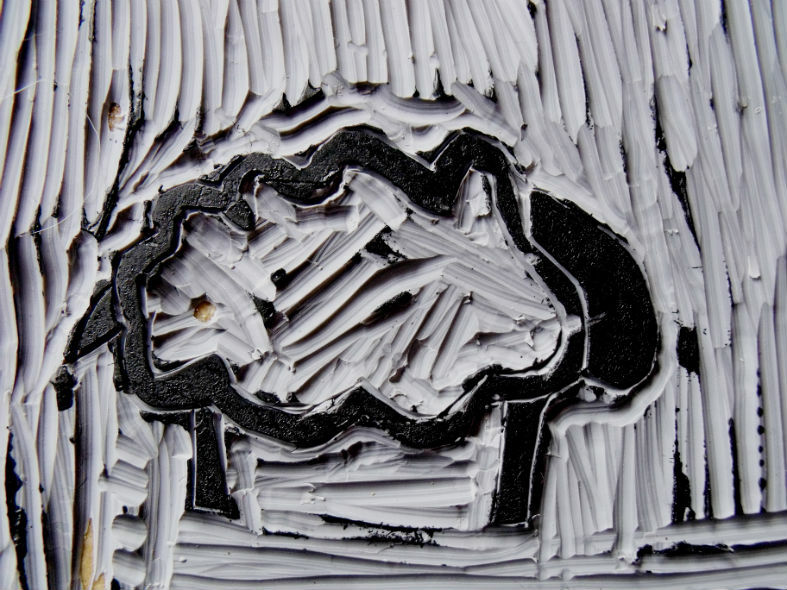 While I am inspired by her designs, I was never particularly tempted to use her stencils. 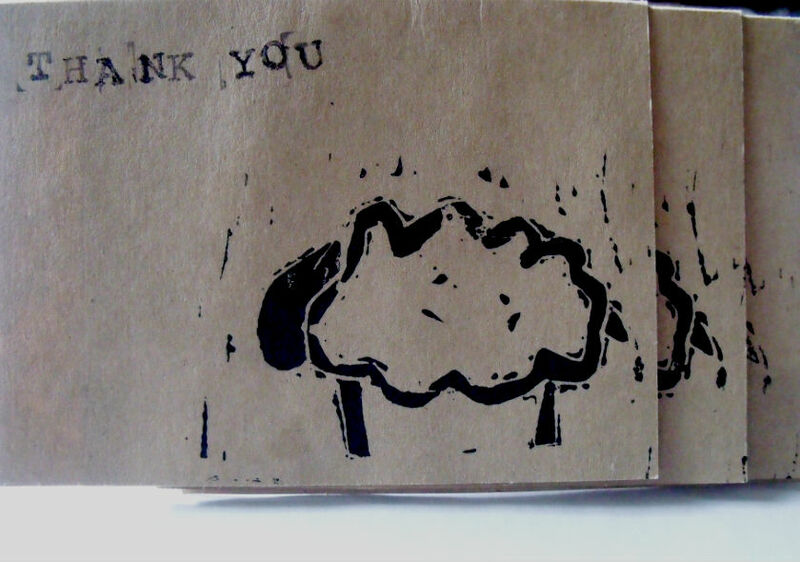 What I was inspired to do was creating my own prints using linocuts. I’ve always wanted to print it on fabric: make a scarf, make a project bag, make some curtains, but it wasn’t until this week that I realized that I could use my sheep on baby stuff. I mean, sheep and babies go together–and this baby is due right around Easter, so sheepy stuff makes even more sense. Now I just have to decide what kind of stuff I could make for the baby–because working with fabric means sewing and that, if you’ve been reading this blog for long you know, is something I don’t do very often. In the meantime, I purchased our first baby clothes this weekend, though it was pretty slim pickins out there after all the holiday hoopla. To start, our Tiny Dino is going to have a set of tiny dinos all it’s own. Pictured are three Gerber Sleep and Plays. 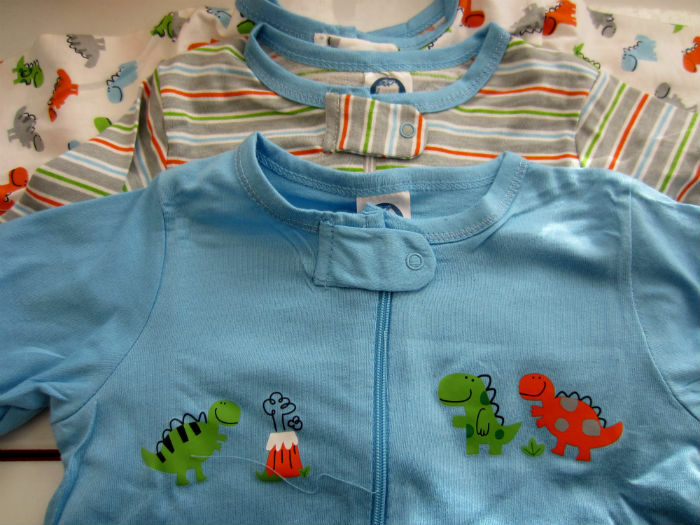 These are my favorite newborn clothes–and the best infant pajamas. I was thrilled to find the dinos!